Hello, my name is Vanessa and I am a big old quitter. But seriously, I have always througholy enjoyed blogging, writing, photographing, designing, and just the general making of things. I pull a lot of life out of being creative and productive, and this may come as quite the surprise due to my extremely regular posting over here, but a couple of years ago I sort of just quit everything. This was not a purposeful and healthy choice of taking a step back and getting a little break, which some of you most likely really need to do! This was a "I never fully commit to much and just sort of fizzle out" type of deal. I wish I could say this is a new thing for me, but it most definitely is not. I can't think of many things in my life that I've stuck with or worked hard at, ever. This is completely at odds with one of my stronger traits; I am extremely stubborn. You'd think that would make me not give-up! Or maybe I am stubbornly committed to laziness. Well it turns out not doing anything with yourself is not the best idea. Now sometimes quitting and knowing when its time to put something down can be a great and wise thing. For example, I dropped out of college very close to being finished and graduated. I was going to school to be a teacher, not because that's what I genuinely wanted to do, but mostly just because I didn't know what else to do and going to college is just what you're supposed to do. Well I am so glad I didn't go through with that. It's a great and awesome profession for so many people, but I still know now that it wasn't right for myself. Now that's not to say I instantly had a new plan for my life, in fact, I'm still trying to find that! Obviously I've had some major life changes in the last couple of years, namely the whole becoming a parent thing. I had a more unpleasant second half of pregnancy and a wild time with the whole labor part, so I happily took a couple months of doing nothing but taking care of and hanging out with a cute baby all day. The couple of months sort of stretched out and like 18 months later, here we are! I'm not expecting to have a jam-packed and full-time work schedule, I wouldn't trade the privilege of getting to hangout with Remy all day for anything! I am, however, not saying that as a stay at home mom it has to be one or the other. It's so important to still have stuff and time for yourself, whether that means investing time into a hobby, work, exercise, etc. I personally am not doing any of that and that is not healthy. If I'm not doing mom duties, I can probably be found rotting my brain away with bad TV and browsing on my phone. Now sometimes at the end of a crazy day, that is just what the doctor ordered! At the middle/end/peppered throughout the whole day? If the doctor ordered that, you need a new doctor. None of this is to say that I am just miserable, because that is most definitely not the truth! I have an amazing family, great friends, an awesome home, a perfect dog, and live down the street from the best ice cream shop. But I have ideas, creative desires, books I want to read, things I want to learn. Suppressing all of that has started to affect my quality of life and quite literally my health (you can imagine how much I exercise currently!). That's not the kind of example I want to set for my daughter. I want her to see that working hard and sticking to things is good, to take ideas and dreams and see them through. To be honest, it does all sound just a little bit intimidating at the moment. Maybe I need to decide on what some of my big dream goals are, and start setting little everyday goals to get me there, wherever "there" is. So I do solemnly swear to blog and make dresses every single day, forever. Just kidding. But I do hope this means you will see more stuff around here. Hopefully that sounds like good news to you, if it doesn't I assume you wouldn't be here reading this still. So here's to healthy and productive days! i can relate, too! given that adam is just a teensy bit younger than remy and i quit working to stay at home and take care of him full time. it is so easy to just devote all of your time and energy to the baby (wait, toddler?!) and completely forget to do anything for yourself. and same as you, i'm quite happy with my life in most ways, but i do know that i'm not taking care of myself the way i should be. you are certainly not alone in your experience, and i'll be cheering you on from over here! This post is such a great read. I honestly feel like I spend so much time reading about people being super super productive and not as much of the struggles of that... I too struggle to do all the things I know I need (and want!) to do. (And I don't have a kid, I'm sure that makes finding the time/prioritizing that much more difficult.) I think I found your blog right around the time when you stopped posting, funnily enough. I'm looking forward to more posts and insights. 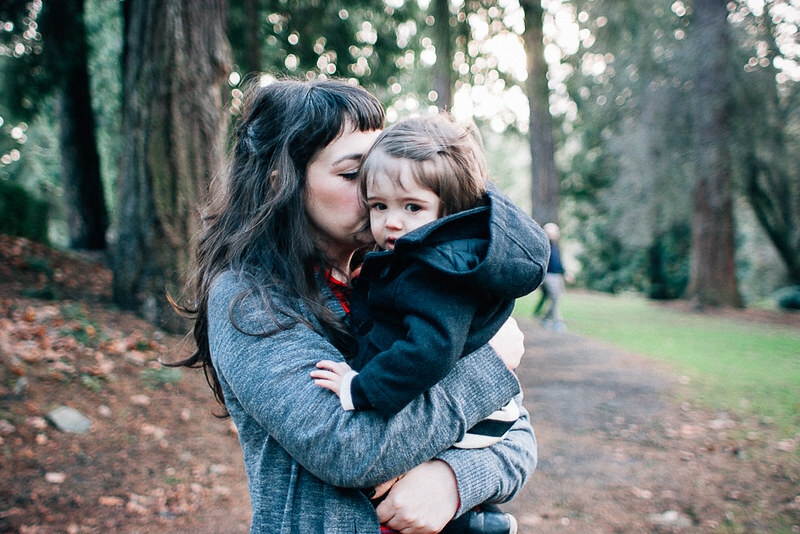 I'm so happy you are back blogging and It's crazy how many mom out there feel this way... Sometimes I think I'm the only one. Oh my, reading your post felt like going through my own thoughts :) It is so nice to have you back again, I always enjoyed your blog..and honesty! I can really relate to your feelings. I have the tendency to quit things when they become "too difficult" for me. Although I am in college at the moment, I am still figuring out what I really want to do with my life and sometimes it seems as though my heart is not into the whole college thing. I expect so much from myself; that I should enjoy my student life as all the others do, that I should do and make things. But sometimes I get lost in my own mind and I realise that there are more important things than doing what you are expected to do!! Unfortunately I don't look forward to the whole 'working' part after college, it makes me afraid to the core of my being; just the thought of being stuck in a job I won't like! It is hard sometimes, but I totally feel you in what you've written! Don't be too hard on yourself, in the end you're going to figure it out for yourself - you don't want to live the life that others expect you to live! I've been reading your blog and your excellent writing on and off forever... since I started my sewing blog maybe... and there are so many times I feel like you... mostly after being a parent. Before, I loved my radio job, and was always 200 percent committed to that... I felt like maybe I got a good balance after Felix was 1 years old... but now, we moved countries and I'm the main parent again (I call it primary carer, because stay-at-home parent doesn't fit right with me... as I'm not at home that often with a 2.5 year old!) ... and I'm a bit directionless... I've been writing and thinking about how I can be human and artist in this world... my good friends have been telling me that the right thing will come along... and maybe for you too. Yay! I definitely can't wait to read more... and hopefully maybe see a new dress design or two (?). You're a talented lady and you have so much creativity to put out there... if you wanna. I really appreciate your honesty and I really think that people with creative attitude are the one who put in discussion themselves like you did. And maybe they even do that on a blog! It takes courage and a clear mind. I can understand your feeling about not finishing something but I have a similar story about college (and "I have to do" stuff). The only difference is that i didn't quit but, after finishing college and a master and a work experience I realized that I had chosen the wrong path...because "I had to finish". And maybe I loose time or maybe not. It's not only a laziness problem, is that in these historical moment you can choose what to do and this, taking in consideration that we are luckier than ever, it takes more time when dealing with creative (and doubtful-keen) people. Hope that my english was clear enough. Can't wait to read more. A hug from Italy. Hi Ms. The Velvet Bird! I've been checking your site from time to time and it all started five years ago. For several months, you've been in hiatus and it's nice hearing from you again. Thank you for this very personal and honest post. It's a reminder that life is not always rainbows and butterflies, that sometimes we find ourselves in the middle of nowhere. But this is the perfect time to contemplate on things. And I just want to say that you are not alone. Some of us are also embarking on that journey. Our situation may not be exactly the same, but in one way or another, we are in a phase of discovering our purpose in life, our dreams and passion. And we can do this! One day we will find our purpose and live our dreams. P.S. Sending some hugs and kisses to your little bundle of joy. I was just introduced to your blog by an IG friend. This is the only post I've read but I'll be following you from now on because this post is 100% ME. I went to school to be a teacher and only taught for a year and a half. I didn't go back to work after my son was born because I had a rough pregnancy and labor/delivery. I didn't have the passion for teaching and have loved being home with my guy. I'm a creator though at heart. I love to learn, I love to read, to make and create. I, too, want to teach my son how to work hard. I've created a blog and have allowed that to be my creative outlet over the past couple of months, but I crave more. So I understand, mama. I really, really do. i love the baby so much ! Always love you and your words. Thank God for seeing you back. Your site is great Actually, I have seen your post and That was enlightening and exceptionally engaging for me. A debt of gratitude is in order for posting Really Such Things. I ought to prescribe your site to my companions.